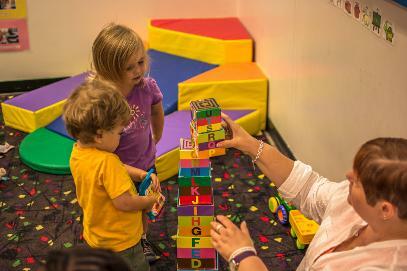 Designed as a state model work-site child care program, the Transportation Children's Center (TCC) can give you the opportunity to work in an attractive and stimulating environment providing quality care for young children. Located in the Massachusetts Transportation Building in the Theatre District, the center is centrally located in downtown Boston, adjacent to the Public Garden. The program offers excellent teacher-child ratios, team teaching, planning time, and the opportunity to share ideas with educated, experienced child care professionals. 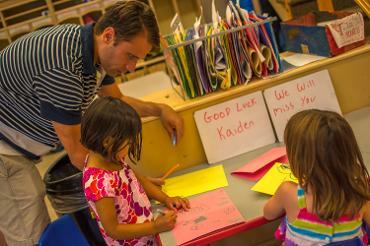 Opportunity for growth is available with teaching positions in both our toddler and preschool classrooms. The Center is open year round, with closures for all state and federal holidays. The work week is approximately 35 hours. 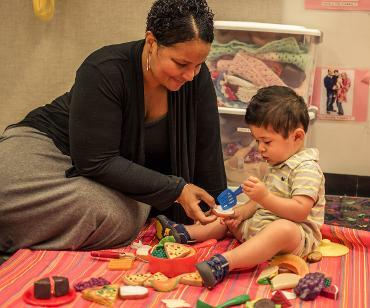 There are 3 full-time teachers in each infant, toddler & preschool classroom. As part of TCC's staffing pattern, TCC hires Northeastern University co-op students to fill our float teacher assistant positions for a 6 month paid placement. The float is used to support the staff and maintain ratios in each of the classrooms when a teacher is absent and for additional assistance in the classrooms. TCC accepts student interns from a variety of colleges in the Greater Boston area. The hours, focus, and expectations will vary depending upon the college the student attends. Students interested in doing an internship at TCC should contact the Center to set up an appointment for a tour and a brief orientation of the program. TCC often utilizes former Northeastern University co-op students, other student interns, or college level students who have had some experience working with children to fill summer positions or substitute positions. Substitutes may be on call to work on an occasional basis or part time depending upon the needs of the center. Students interested in substituting or a summer position should email their resume to apply.